Defensive Coordinator Brian Schmidt ranks up! GREENSBORO - Brian Schmidt, former Defensive Coordinator, has now taken a new role in the organization. Since the Cobra’s inception, Schmidt has been involved in both team operations and business development. Now, after helping the Carolina defense to becoming one of the best in the league and winning a championship, Schmidt will be transitioning from the Defensive Coordinator position to the Vice President of Business Development for Carolina full-time. Schmidt has been around arena football for years, coaching for several teams in different leagues such as the CIFL, the IFL, and now the NAL. 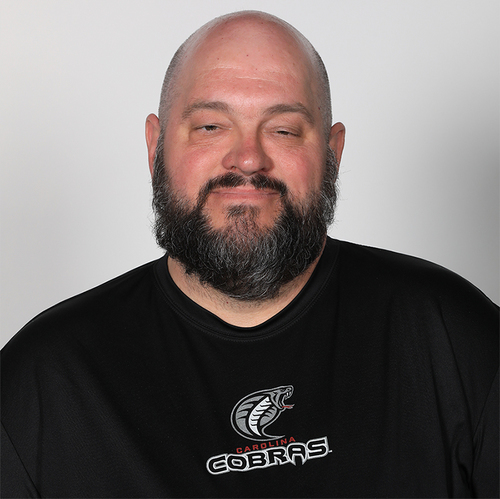 The many years of experience both from coaching and business side will allow the Cobras to develop a strong and successful business side.